TM Maintenance is a user friendly, comprehensive and flexible system for planning and managing scheduled, preventive, corrective and condition based maintenance. The system records, schedules and manages all data pertaining to maintenance work on a vessel or drilling rig. 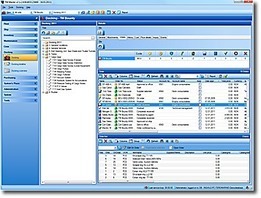 TM Maintenance includes an inventory module, a powerful tool for managing spare parts, consumables and inventories. 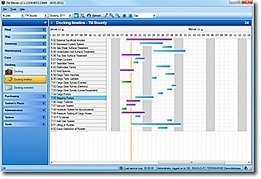 Components with specifications are displayed in a user friendly grid, complete with sorting and filtering functions. Switch between the grid structure and list view with a single click. The details window gives you a complete overview of all the information related to each individual component, including jobs, spare parts history and certificates. TM Maintenance includes extensive tools for trend analysis, enabling you to benchmark the performance of an individual vessel against another ship or your entire fleet. You can compare trends based on data from various equipment on board, such as NOx and CO2 emissions, compare component running hours with other component measurements, and trend consumption and condition for a number of different components. The outcome of your trend analysis is graphically displayed and reported. TM Maintenance furthermore supports moveable assets. Move an asset from one vessel to another or to a warehouse, while retaining a complete asset history. It only requires a click of the mouse. The docking module allows you to plan and execute complete dry docking projects. The module comes with flexible tools for maintenance and repairs, budgeting, tender comparison, procurement and reporting. These, along with numerous other features, have made TM Maintenance one of the leading CBMs in the market. As we like to put it: Probably the best maintenance system in the world.